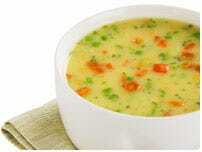 What will you do with WonderSlim protein diet soups? These hearty flavors will kick start your imagination and help you create the diet meals that inspire healthy weight loss. Used as a quick lunch or as part of a nutritious dinner, WonderSlim protein diet soups are nutrient balanced to keep you fuller longer and help you reach or maintain your ideal weight.